Costa Cruises is working with the Italian Ministry of Agriculture, Food, Forestry and Tourism and the Italian Alliance of Agri-Food Cooperatives in promoting one of the most widely appreciated examples of Italian gastronomic excellence: Pecorino Romano D.O.P. 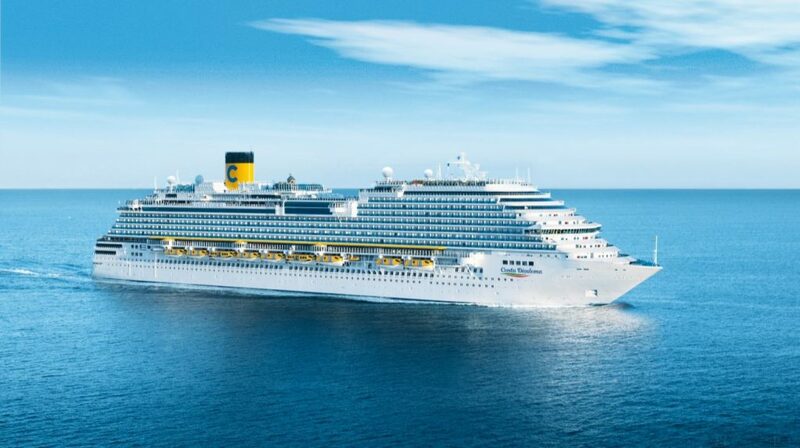 The ships of Costa Cruises are true ambassadors of Italian excellence. Every year the cruise line gives guests, who come from many different countries around the world, the chance to discover high quality food and wine, which are produced by around 200 local producers across Italy. For a whole month, during stopovers in Civitavecchia, Costa will organize special events on board its flagship Costa Diadema to promote the famous Italian cheese Pecorino Romano. In the ship’s main restaurants, guests will be offered a taste of Pecorino Romano to sample before dinner. Furthermore, some of the dishes on the Lazio regional menu served on all Costa ships arriving in Civitavecchia will be pepped up with the unmistakable flavor of Pecorino Romano: these include mozzarella in carrozza (fried cheese sandwiches) on a pecorino romano fondue; amatriciana-style rigatoni with shavings of pecorino romano; redfish filet in a potato and pecorino romano crust. Costa has been serving its guests Italian culinary excellence for over 70 years. The regional menus, consisting of no less than 520 dishes from 18 regions, take guests on a food and wine journey to discover the flavors of Italian tradition: every day, for lunch and dinner, a whole menu dedicated to a different region is available in the Costa fleet restaurants. Every year, ships in the Costa fleet use around 10,000 kg of Pecorino Romano D.O.P. produced by five different Sardinian cooperatives belonging to the Italian Alliance of Agri-Food Cooperatives. Despite its name suggesting that the cheese is originally from Lazio, 97% of this cheese is actually produced in Sardinia. Guests on vacation on the Costa Diadema will have a chance to find out more about the cheese, its history, production and use through corporate videos, brochures and recipe books supplied by the Pecorino Romano D.O.P. Consortium.